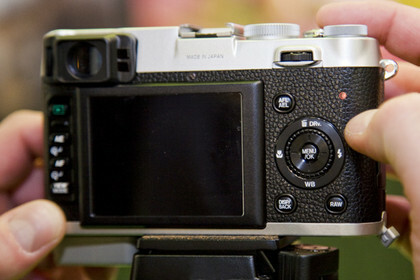 The Fujifilm Finepix X100 is a compact camera that looks like a luxury model. 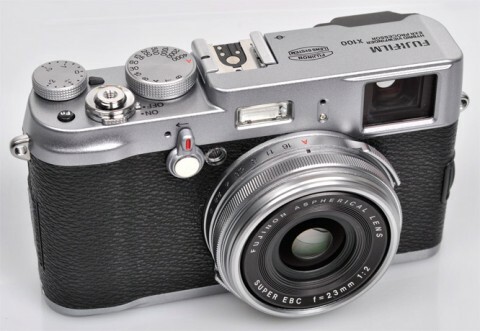 Featuring a retro design that bears more than a passing resemblance to the Leica M-series, the Fujifilm X100 is a blend of old and new, bringing together a very traditional control system with some distinctly cutting edge features. 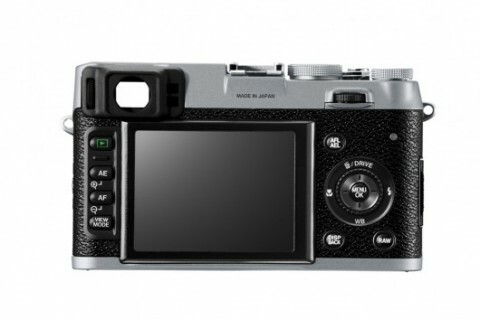 The Fujifilm Finepix X100 is a range finder style digicam featuring a fixed f/2.0 lens, 12-Megapixel APS-C sized EXR CMOS imaging sensor and an EXR dual core processor. 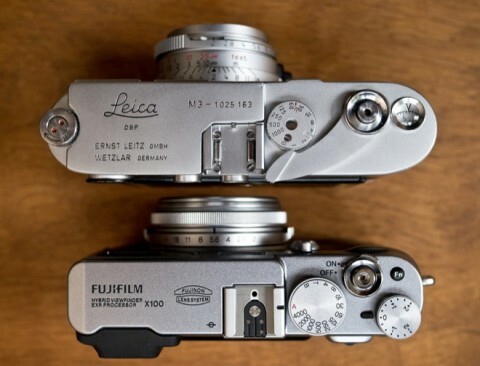 The ISO range runs from 200 – 6400 at full resolution and can be expanded to 100 – 12800. 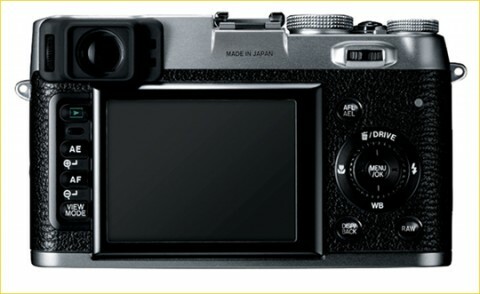 Another impressive element of the Fujifilm X100 is the Hybrid Viewfinder which is both optical and electronic into one unit. 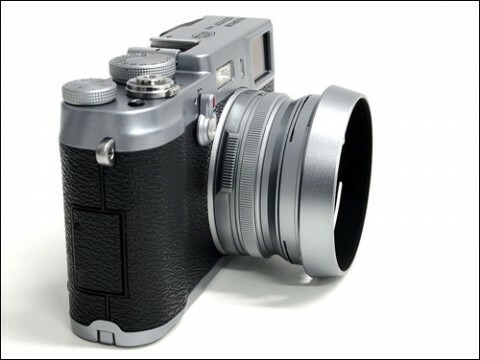 The X100 has a number of other features that are indebted to the film past, from the quiet leaf shutter, the ring arround the lens to the range of film simulation effects and the leather-like finish. The build quality is superb. The top and base plates are die-cast using lightweight, high-strength magnesium alloy, and all the controls and dials are milled from solid metal. Some plastic makes an appearance on the back, of course, for the buttons and four-way controller/rear dial, and it’s also used for the battery/SD compartment door, but overall the X100 gives a rare impression of solidity. 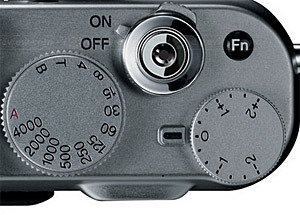 The shooting info on the viewfinder is displayed clearly along the bottom of the frame, while you can customize the display to feature a wide variety of information. More about performance of X100 you can read on Fujifilm X100 review from whatdigitalcamera.com. The 720 HD video of Fujifilm Finepix X100 is quite good as 720 HD goes – the camera defaults into AF-C (continuous autofocus) when movie capture is initiated and the camera is pretty good about holding focus as subject distances vary. More about that you can read on Fujifilm Finepix review from digitalcamerareview.com. 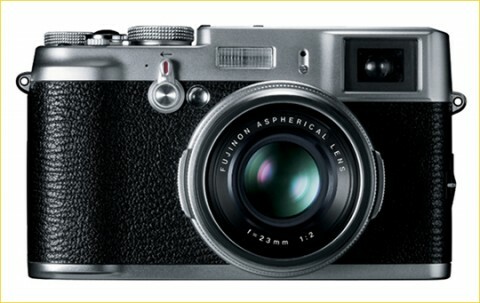 The Fujifilm X100 certainly isn’t for everyone with its fixed lens, sizeable body and even more sizeable price tag. However, its rock-solid build quality, superb image quality – with exceptional low light performance – and more compact stance than an equivalent DSLR means it will have pride of place for many enthusiasts and pros as a back up to their main kit. 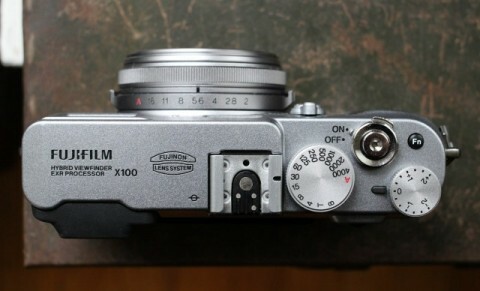 Video review of Fujifilm X100 you can find on Youtube.